The investigation into the death of a former Russian security officer Aleksandr Litvinenko poisoned in London last year is entering a new stage. 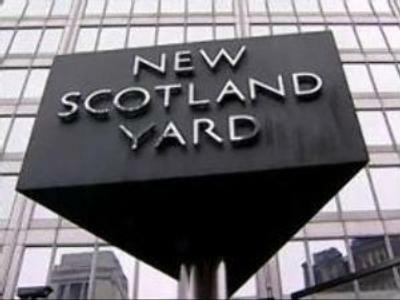 A delegation of Russian prosecutors is currently in Britain to meet with the British police. The Russian Embassy in London said that a group of Russian prosecutors arrived in London on Monday to discuss the ways of co-operation. Aleksandr Zvyagintsev, Deputy Prosecutor General, is heading a team that will be working in London for several days. Now it is not clear whether this visit is connected with the investigation into the death of Aleksandr Litvinenko, a former Russian Special Services Agent who died in London on November 23, 2006. Scotland Yard and the Russian Prosecutor General’s Office have been investigating the case in Moscow and London ever since. Earlier this year Russian Prosecutor General’s Office made a statement saying that the Russian officials sent a letter to the British officials requesting access to over 100 people that Russians see as witnesses in Aleksandr Litvinenko’s case. The list includes the names of Boris Berezovsky, Russian businessman, and Akhmed Zakyaev, one of the Chechen leaders. Both men are wanted in Russia, but both are also believed by the Russians to be key witnesses to the Litvinenko case since they had close ties to Aleksandr Litvinenko. Russian officials have underlined several times that they would be only questioned in connection to the case in Britain. The Metropolitan police refused to give out any information. The Crown Prosecution Service, which is dealing with the Litvinenko case, has confirmed that they had a meeting with the Russian delegation but also said that it had nothing to do with Litvinenko case and no lawyers dealing with it were present at that meeting.